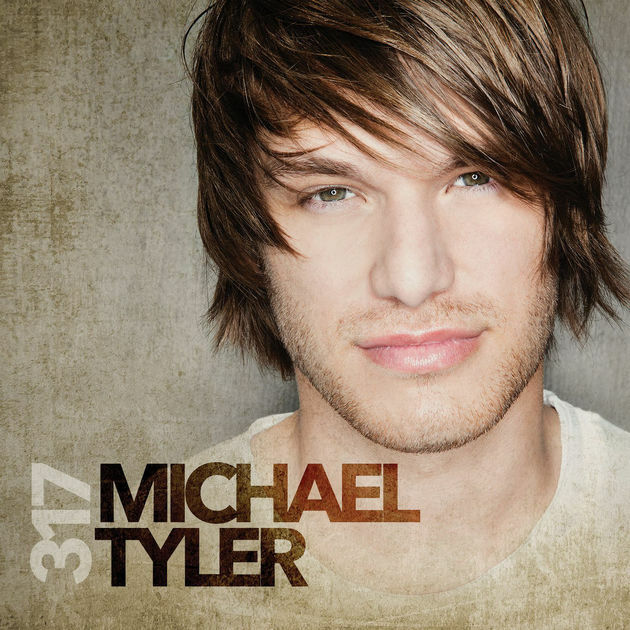 NASHVILLE, Tenn. (Feb. 28, 2017) – “They Can’t See,” Michael Tyler’s youthful ballad that’s currently gaining radio airplay across the country, will premiere all over CMT channels and platforms February 28, including CMT, CMT Music and CMT.com. “They Can’t See” features three loving couples who are in different phases of their relationship, including songwriter Josh Mirenda and his wife Kayla, songwriter Shane Minor and his wife Brooke, and country music veteran Charlie Monk and his wife Royce. CMT also included MT in its “17 for 2017” artists for its year-long Listen Up campaign recognizing and supporting country music’s most promising newcomers. It’s no coincidence that the 23-year-old’s debut album will be titled 317, the number he noticed in his odometer after he arrived in Nashville when he left his hometown in Thayer, Mo. CLICK HERE to pre-order 317 on iTunes and CLICK HERE to pre-order 317 on Amazon. Reviver Records is distributed by BDG/RED (a division of Sony Music LLC). MT also penned Jason Aldean’s “Laid Back” on the platinum-selling album Old Boots New Dirt, three songs on the LOCASH album The Fighters (“Shipwrecked,” “Ain’t Startin Tonight,” and “Moonwalkin”) and a Jason Aldean/Kelsea Ballerini duet “First Time Again” on Aldean’s No. 1 album They Don’t Know. In 2016, MT’s debut single “Crazy Last Night” world-premiered on CMT and was selected as Billboard’s Country Songs of the Summer Picks. Hailing from Thayer, Missouri, known as a railroad town, it’s ironic MT is the descendant of the late, great Jimmie Rodgers, known as “The Father of Country Music” who learned his craft around the New Orleans and Northeastern Railroad. At the age of 13, over a Myspace meeting, MT met award-winning producer Michael Knox (Jason Aldean/Thomas Rhett/Kelly Clarkson/Trace Adkins). After a few years of sending songs and ideas back and forth, MT came to Nashville, Tenn. to play a show at Tootsies Orchid Lounge for their first face-to-face meeting. At that time, Knox was hired by peermusic Nashville to help restructure the creative department. After watching MT play a few shows, Knox felt it was time for him to make the move to Nashville as a peermusic songwriter. The future has just started for this young singer/songwriter who is on the road touring all over the country with his energetic live show. MT is on the road with Reviver Records labelmates LOCASH for Live Nation’s ‘Ones To Watch’ Tour. Fans can purchase tickets at themichaeltyler.com. Follow Michael Tyler on Facebook, Instagram and Twitter. For more information on Reviver Records, visit revivermusic.com. March 09 Jergel’s Rhythm Grille – Warrendale, Pa.
March 11 Tequila Cowboy – Lansing, Mich.
March 24 Bourbon Jack’s Honky Tonk Bar – Hastings, Neb. March 29 Neptune Theater – Seattle, Wash.
March 31 House of Blues – Las Vegas, Nev.
April 21 Boondocks – Springfield, Ill.
April 22 Delmar Hall – Saint Louis, Mo.